Willow scab disease attacks different types of willow species in Europe and the United States. It can attack weeping willows but is not one of the more common weeping willow diseases. Willow scab is caused by the fungus Venturia salciperda. Scab on willow trees usually doesn’t cause serious harm unless the black canker fungus (Glomerella miyabeanais) is also present. Read on to learn about how to recognize and how to treat willow scab. 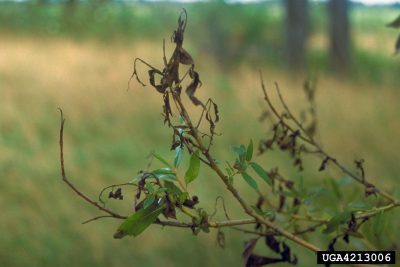 Willow scab is a fungal disease that causes leaf symptoms, followed by brown spore masses at the base of leaves. The symptoms of scab on willow start with dark spots on the leaves. 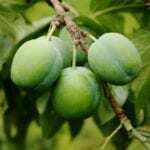 These can be brown or black, and cause the leaves to wilt, shrivel up and die. In time, as the willow scab disease progresses, the fungus spreads to the stem tissue at the bases of leave petioles. There, it forms olive-brown velvety spore masses. This happens most often in wet spring weather. Look on the underside of the leaves and along the rib and veins for these fruiting bodies. Although scab on willow trees can attack any almost any Salix tree, it is not considered one of the common weeping willow diseases. In fact, weeping willows (Salix babylonica) are the most resistant willow species to this disease. Willow scab disease causes only minor damage to your trees if they are healthy. 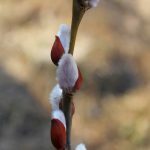 However, repeated infections may slow a willow’s growth and reduce its vigor. If you are wondering about whether effective willow scab treatment exists, you’ll be happy to hear that it does. You can control willow scab on your backyard willows with a combination of good cultural practices and chemical applications. 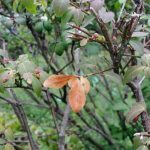 How to treat willow scab with cultural practices? First, you’ll need to trim out all of the infected parts of the willow tree, including stems and twigs. Don’t forget to sterilize your pruners with a bleach and water mixture to avoid spreading the fungus. 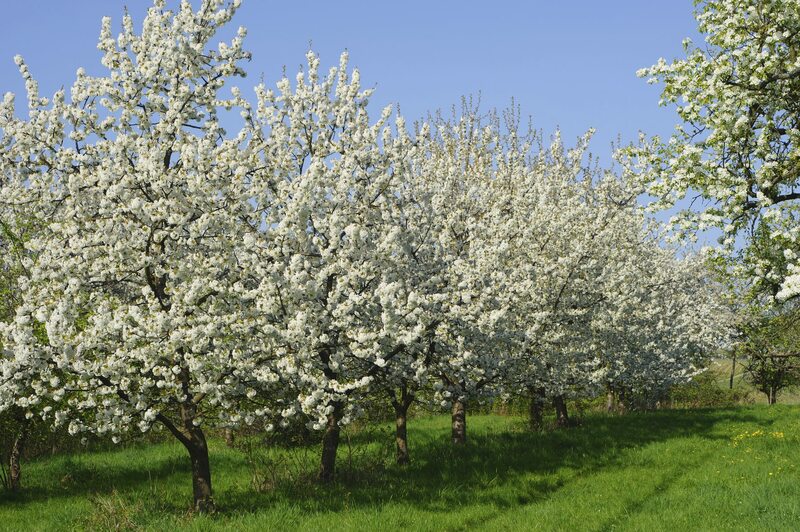 In addition, keep your trees vigorous with sufficient irrigation and regular fertilizer. The disease does much less damage to healthy trees than vulnerable ones. Finally, properly timed fungicide applications can be part of your willow scab treatment. This is especially important if your tree is also infected by the black canker fungus.